Edwards Campus has raised $ 3,575 from 30 gifts! 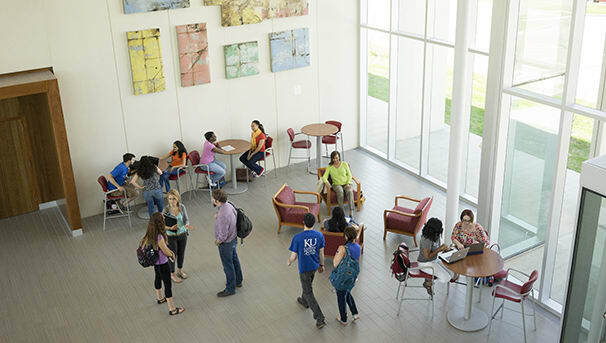 KU Edwards Campus (KUEC) helps adult students and working professionals kick start or advance their careers through high-demand degree, certificate and professional education programs. Serving the Kansas City metro area and beyond with a world-class KU education, KUEC strives to meet the region’s diverse workforce, economic and community needs in a welcoming and inclusive environment. KUEC’s diverse, nontraditional student population overcomes many obstacles to enroll in and complete educational programs. More than 37 percent of KUEC students work more than 40 hours a week, and another 25 percent work at least 30 hours a week. More than a third have children high-school age or younger. Finances are a major obstacle for the working professional and underrepresented students KUEC serves. Enrollment fees, transportation and family expenses are barriers for those who will be eligible for financial aid. Scholarships provide critical assistance in overcoming the barriers to a life-changing KU Edwards Campus program. A campus can send a powerful message to students and the community about a school’s values, mission and dedication to education. Your support would make possible events, training and awareness on campus, promoting an inclusive atmosphere for learning, working and collaboration. With your support, more students and professionals will be able to pursue the next step in their education, leading to increased career opportunities in high-demand fields and, ultimately, a stronger local economy and workforce.